Anonymity has a long history in both rebellion and conformity. 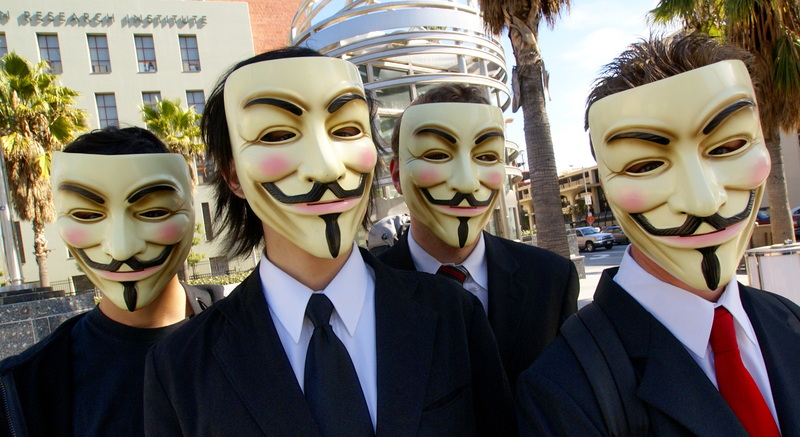 Whether it has been women protesting in print, hackers attacking the Church of Scientology or the faceless masses of crazy right-wingers, it is a mask that is as terrifying as it is liberating. With the arrest of members of Anonymous over their support of Julian Assange (amongst other hacks), it brings to mind whether those who have been entrusted with guarding the law are really the ones being wronged here. Anonymous has gone after groups such as The Church of Scientology, Visa, Mastercard, Sony and movie and music distributors. They have yet to attack a Marie Stopes website, or an atheist website. But when one considers the growing call for funding cuts to women’s health issues as well as the mostly unchecked power of religious groups who are anti-gay, I can’t help being privately pleased by the growth of a group like Anonymous. I know that Anonymous and LulzSec have the power to be very, very dangerous groups. They could hack into power grids or hospital mainframes. They’ve already shown the ability to get past the firewalls of major credit card corporations, which means that they could theoretically attack banks. There’s a lot of scary things they could do. 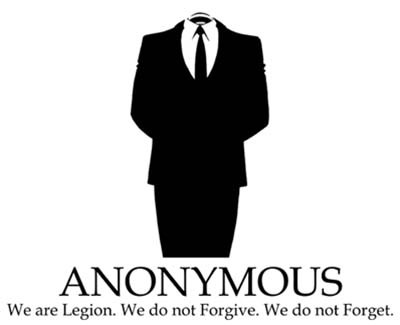 It is also worth reading fellow blogger and internet denizen Tallulah‘s piece on Anonymous here. But we also forget that long before the hackers there have been governments, and they’ve shown a remarkable ability to destroy economies, societies and freedoms with the backing of the all the legislation they can write. Whether it is apartheid legislature (which is making a comeback in the Protection of Information Bill) or the Patriot Act in the States, Shariah law or Catholic dogma, there is no guarantee of security from the bodies that promise it. Governments no longer fear their people, if they ever have, except for groups like LulzSec. What the hacker groups represent is power that does not involve guns or jackboots, and its something that governments don’t know how to handle. Arresting members of Anonymous might be the most dangerous thing they could have done considering that they have very little knowledge of the size and reach of the group. Even the group itself is not unified enough to take it out with a few arrests: there are different factions, all with different goals. While I personally agree with the attacks on Scientology, I disagree with the flooding of internet support groups for epileptic groups with flashing images. I wish we had our own Anonymous here, someone who can find a way to disable the processes that are creating the Stalinesque secrecy bills. Someone who could actually infiltrate and change. Although we have not yet exhausted all our avenues of protest (someone has yet to actually physically kick one of the ANC party members involved), I think some kind of digital vote is required, especially since we might not have one left to us. I totally agree with you. Ayn Rand is deeply disturbing.